Cybersecurity remains a central concern for the U.S. government, and by all signs, it will be one of the most imperative government priorities for years to come. Significant funds and efforts will be required to mitigate the ever-increasing intensity of cyberattacks, address vulnerabilities, and harden critical infrastructure. The U.S. Federal cybersecurity market is estimated to reach $22 billion by 2022, with the infrastructure hardening segment alone growing at a steady CAGR of 12 percent. 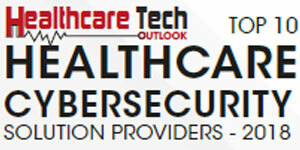 Cybersecurity focus in healthcare IT will represent one of the most significant growth components, and given the development of the expanding Electronic Health Record (EHR) system for the Department of Defence (DOD) and the new $10B EHR for the Department of Veteran Affairs (VA), it will have even greater emphasis. “We concentrate on mission-critical services in information, communications, and technology. Cybersecurity will be a central focus of the VA as it transcends into the next generation of maintaining records,” asserts Steve Mahalec, the Chief Technology Officer of AM LLC. The company focuses on providing cybersecurity services and support across the lifecycle—both certification and accreditation (C&A), to the current assessment and authorization (A&A) process by following the National Institute of Standards and Technology’s (NIST) Risk Management Framework (RMF). AM has institutionalized communication, research, and information solutions based on best practices in highly restricted and challenging operating environments around the globe for the DOD and the Broadcasting Board of Governors. The company has a vibrant staff encompassing experts from various backgrounds and skills sets who put their prowess and experience into action by developing and implementing innovative strategies and solutions for their customers. AM retains a unique position in the cybersecurity arena since it combines the traditional IT knowledge of subject matter experts (SME) on tools, processes, and analytics combined with experience in information operations across social network platforms where the goal is to understand behaviors and intent as well as the important role of context in influencing and developing cyberthreats. AM advocates a proactive, analytic approach and expects that artificial intelligence and machine learning technologies will have the ability to analyze large quantities of security data in order to provide the contextual clues to identify and curb the imminent threats from cyberattackers. Mahalec also highlights that AM provides support to Federal healthcare customers within the Cybersecurity Operations Centers (CSOC), a complex group of cybersecurity SMEs whose mission is to monitor and improve security by preventing, detecting, analyzing, and responding to cybersecurity incidents efficiently. “Our CSOC SMEs have experience in incident identification and remediation, data analytics, insider threat analysis, network forensics, and malware reverse engineering, etc.,” says Mahalec. AM maintains a company-wide corporate social responsibility (CSR) philosophy to demonstrate their commitment to giving back to the community, including paid time off for community service. They also have an employee-led committee to increase employee participation and community service outreach with a focus on service to the Veteran community. AM’s dynamic and energetic teams are experts in their respective fields and are highly incentivized by best-in-class benefits, competitive salaries, and performance-based bonuses. The company maintains a healthy and competitive environment by providing free training with online courses in cybersecurity and simultaneously supports employees’ certification requirements.